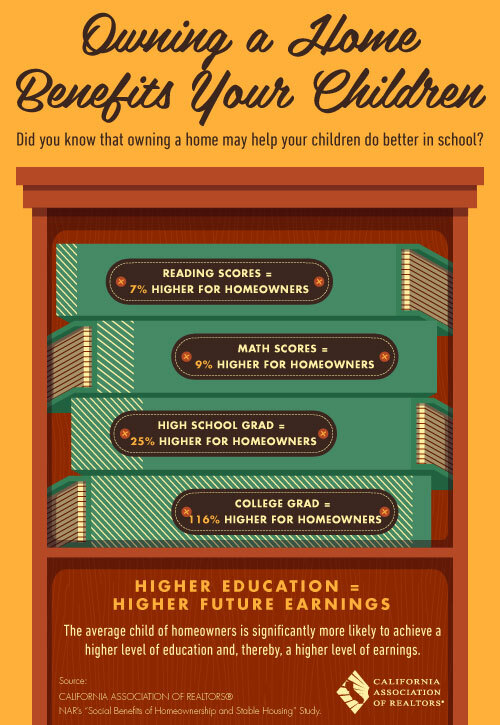 The latest info from the California Association of Realtors details how owning a home benefits your children’s education. Finding a realtor who knows a thing or two about the neighborhood and its educational opportunities is the first step toward finding your dream home. Call on Ready Properties today to speak to our knowledgeable realty specialists. One Cool Thing is published by the CALIFORNIA ASSOCIATION OF REALTORS®, a trade association representing more than 150,000 REALTORS® statewide.